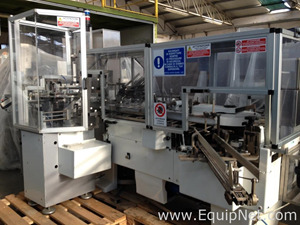 CAM Equipment is a leading global manufacturer and designer of automatic machines for packaging into cartons. CAM equipment now supplies complete packaging lines for all industrial sectors including pharmaceutical, Cosmetic and Food. CAM are well known for their range of high quality and reliable automatic equipment. EquipNet is constantly receiving used CAM equipment through our exclusive contracts with our clients. Our inventory of used CAM equipment includes CAM PMM Horizontal Cartoner, CAM ASB Y72 Bottle Feeder for vertical Cartoner, CA OAM collective folding boxes and more.